Here Be Lions is a ministry collective focused on discipleship, music and community. The worship team, led by Dustin Smith ('God Who Moves The Mountains', 'Miracles'), aims to create music that welcomes the power and presence of God in expectation of a supernatural move of God to bring salvation, healing and restoration. Their 11-track label debut, 'Only A Holy God' delivers songs of reverence and praise written around the character of God and the forgiveness and wholeness found in Jesus. Writers include Dustin Smith, members of the HBL team and guest writers Stu G (Delirious? ), Joshua Silverberg (The Belonging), Chris Quilala (Jesus Culture) and Jacob Sooter (Bethel). LTTM are offering a FREE download of the song 'God Will You Forgive Us?' 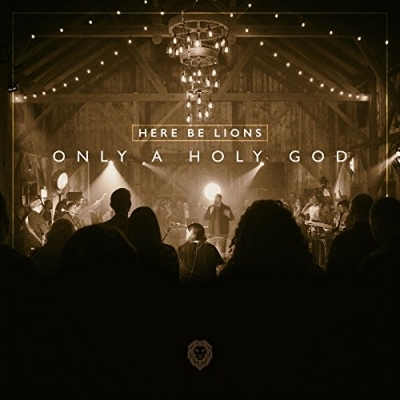 from Here Be Lions' new album 'Only A Holy God'. Download courtesy of Here Be Lions and Integrity Music. We in the church have sat around too long saying all the right things but doing nothing. We have spoken powerful declarations, sung the songs, prayed the prayers. But now we need to take action. I don’t want to hear us talk about love; I want to see it lived out. I don't want to just sing about justice; I want to fight for it. I don't want to dream of every nation, tribe and tongue worshipping; I want to facilitate it. Lord, help us to be a people who turn back to You. Let our actions line up with our words and let justice flow like a river and mercy run like a stream!